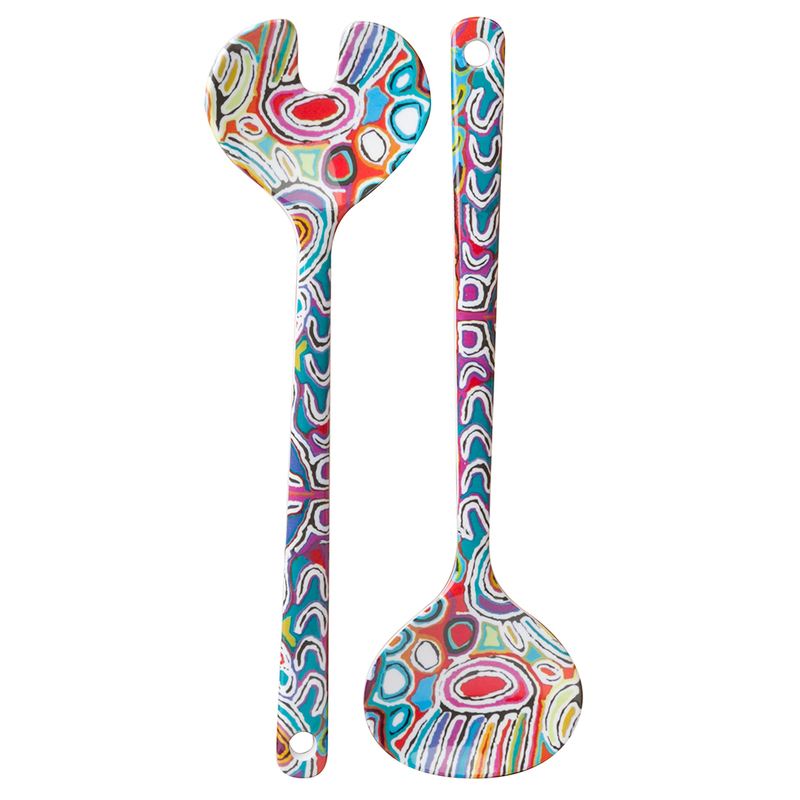 When it comes to souvenirs, there’s nothing scarier than those silver tourist teaspoons with a picture on the end… Put those away quietly and take out something still very Australian and much more beautiful: a set of Alperstein Salad Servers. Made from 100% melamine, this lovely serving set is decorated with a beautiful Aboriginal artwork that will add an artistic edge to any table setting. It's a charming way to bring this beautiful art to life. Reverse side white, featuring no print. Melamine is perfect for outdoor dining: it's durable and doesn't shatter dangerously like glass or ceramic when dropped. Presented as a set of two in an Alperstein box. Dimensions: 28cm (l) 8cm (w).